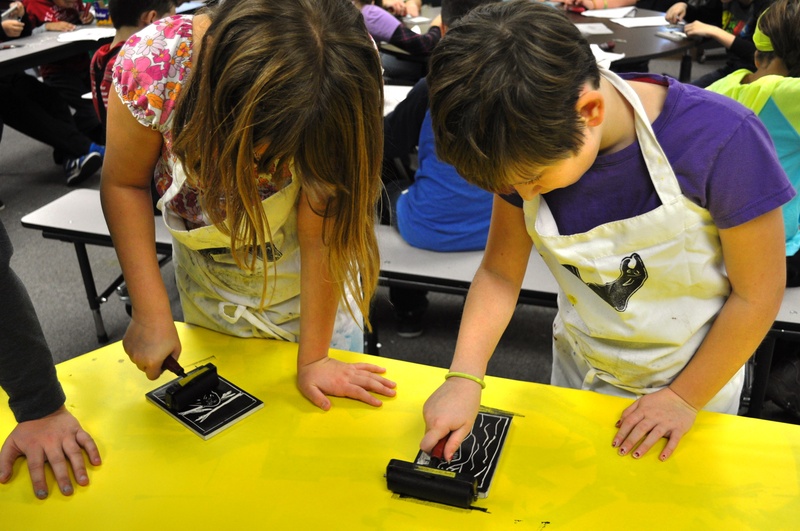 Fourth graders at Virginia Grainger Elementary School in Okanogan integrated biology and ecology with the traditional art of block printing in a Methow Arts Education residency. 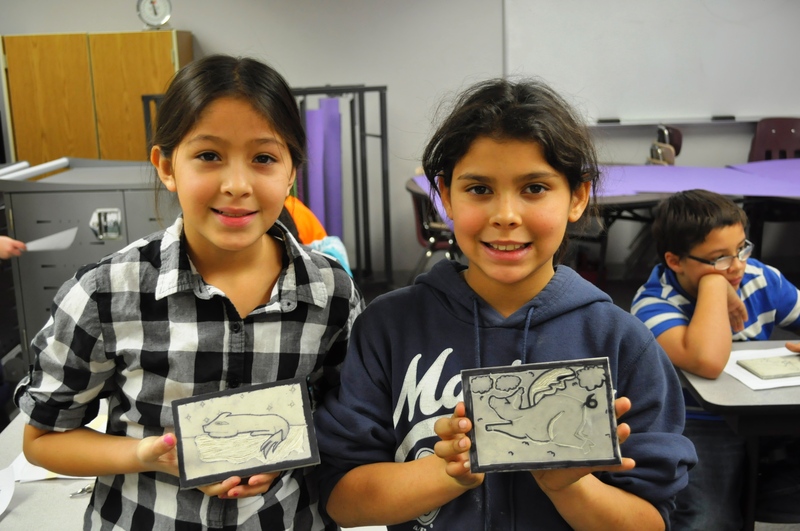 Teachers incorporated the visual arts component into their regular Salmon Studies unit, which centers around the life cycle of salmon and an understanding of riparian ecosystems. 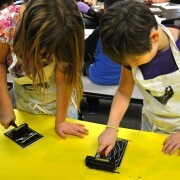 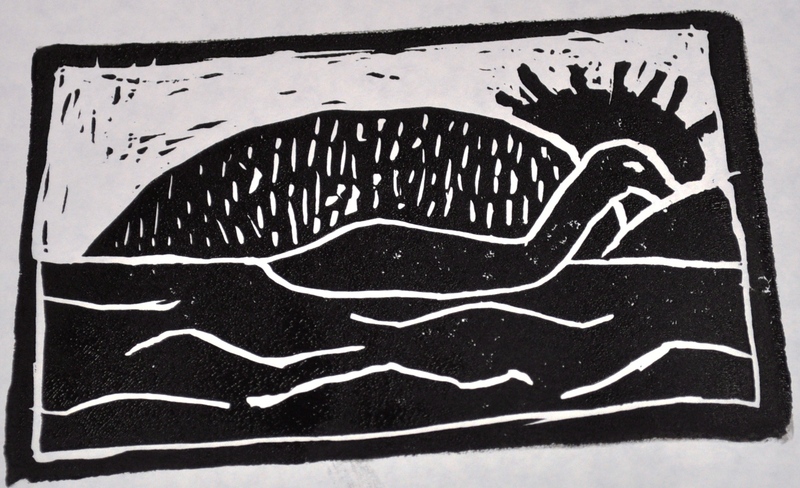 Methow Valley printmakers Laura Gunnip and Emily Post helped students design, carve, and create print using linoleum blocks and carving tools. 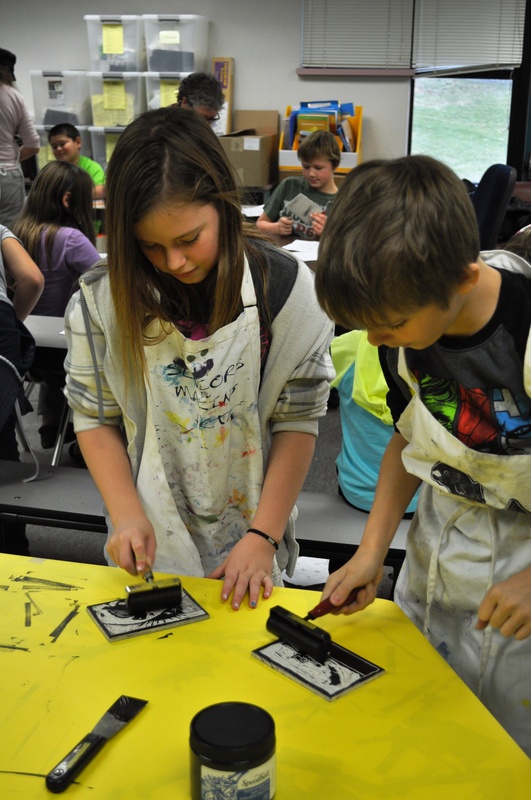 In addition to learning about riparian habitat and inhabitants, students developed manual dexterity and an understanding of the basic printmaking process. 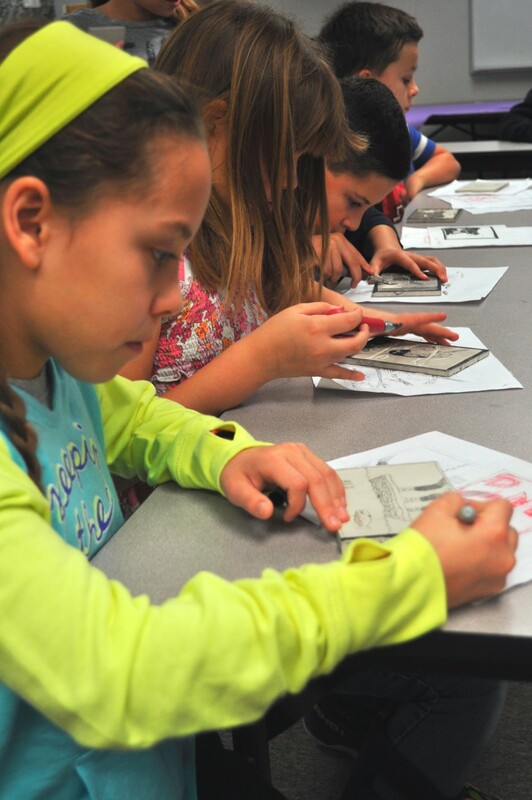 They explored the use of negative and positive space, developed a graphic image using texture and contrast, and learned to communicate a theme through images. 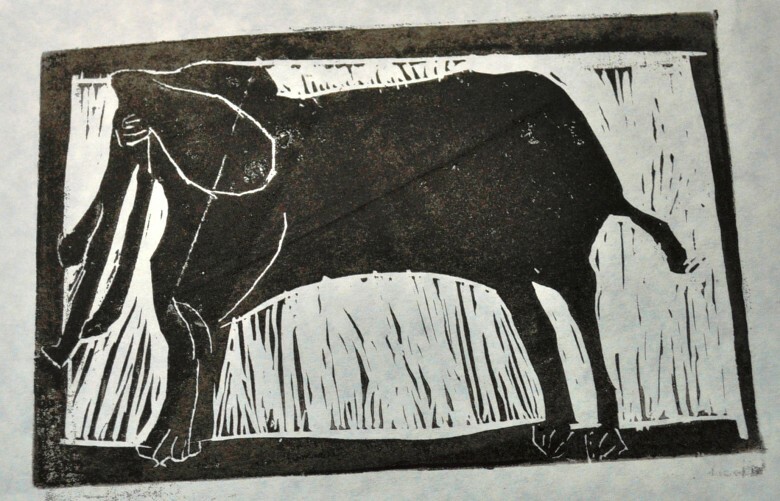 They also increased their confidence with the tools and the vocabulary associated with carving and printmaking, as well as with the creation of art in general. 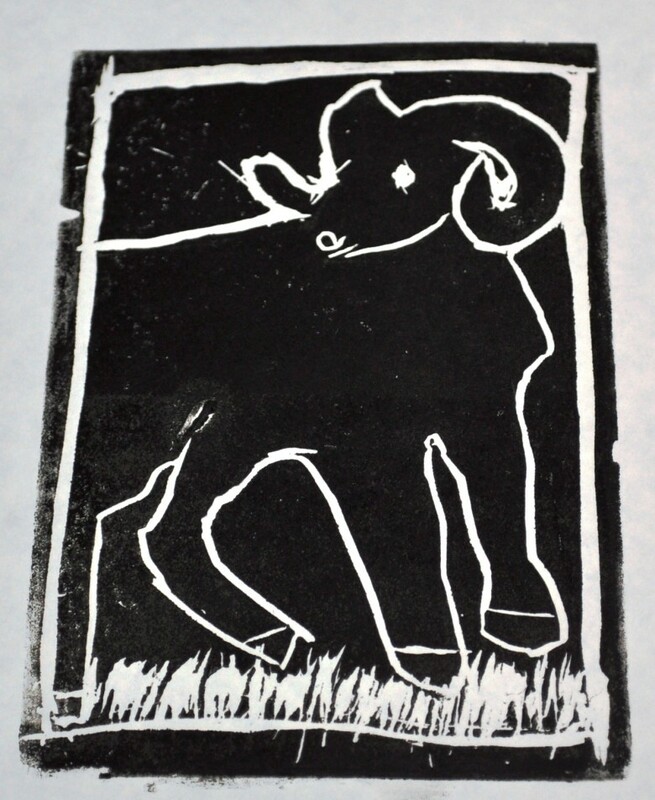 This is the third year of the Okanogan block printing residency. This residency was created by Methow Arts Alliance and sponsored by the Community Foundation of North Central WA through a Classrooms Can grant, Hamilton Farm Equipment, Okanogan Kiwanis, Okanogan-Omak Rotary, the Charlotte Martin Foundation, the Okanogan School District, the National Endowment for the Arts, and ArtsWA.